On the afternoon of 25 May 1768 the new Massachusetts General Court and the outgoing Council took up the first (or last) business of their legislative year: choosing a new Council. Otis the Father, whose Enmity to the Lieut Governor is known to arise from personal Resentment, declared in publick, that he had rather be turned out of his Offices (which are the first in his County & given by me) & reduced to the lowest of the People, than that the Lieut Govr should be elected into the Council: so much does private Malice prevail over public Considerations. The voting took place in two stages. First, the 141 legislators present could choose eighteen men from within the bounds of the old Massachusetts Bay Colony. When the votes were counted, the eighteenth man on the list was Hutchinson. However, he had received only 68 votes, three short of a majority. Which meant, under the current rules, he was not elected. 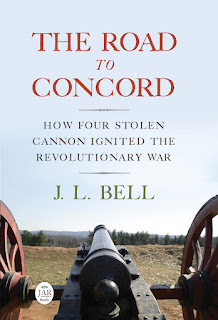 “Then [James] Otis [Jr.] sprung a Mine he had in reserve,” the governor wrote. 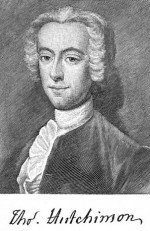 Otis and Samuel Adams reminded their colleagues that in April one of John Hancock’s captains had brought a report from London that the Crown had granted Chief Justice Hutchinson an annual salary of £200 out of the Townshend duties. That made Hutchinson a “pensioner” dependent on Parliament instead of on the people he judged, they warned. Bernard clearly thought it was unfair of Otis and Adams to spread this information. They left Hutchinson’s supporters “no Opportunity or Time for Refutation or Explanation.” Of course, his side would have been in a better position if the Crown had not indeed granted Hutchinson a salary from the Townshend duties, just as the report said. In the second round of votes, Hutchinson’s total went down by ten. Artemas Ward of Shrewsbury was elected to the empty slot in the Massachusetts Bay slate. In all, the legislators added seven men to the Council: the senior Otis, Hancock, Ward, Samuel Dexter, Joseph Gerrish, Thomas Sanders, and the wonderfully named Jerathmeel Bowers. All of them had opposed Gov. Bernard in recent years as members of the lower house. At the same time, two of the governor’s allies on the Council lost their seats. TOMORROW: 250 years ago today, the governor struck back.